We are Provide All Type of Indian Educational, Non Educational and Commercial Documents or Certificates Attestation, Apostille, Legalization Services Provider. What does Shree Sai Nath Documentation India Pvt. Ltd mean by “social responsibility”? Shree Sai Nath Documentation India Pvt. Ltd believes that being “socially responsible” means that people and organizations must behave ethically and with sensitivity toward social, cultural, economic and environmental issues. Striving for social responsibility helps Individuals, Organizations and Governments have a positive impact on development, business and society with a positive contribution to bottom-line results. In recent years many consumers have been upset by widely publicized examples of fraud by executives and harmful products produced by some companies. As a result consumers have become more conscious of whom they are doing business with and which products they should buy. Many companies who are looking for long-term profitability are looking for ways to become more socially responsible. OHow Shree Sai Nath Documentation India Pvt. Ltd is involved? Social responsibility is in direct alignment with aspects of Shree Sai Nath Documentation India Pvt. 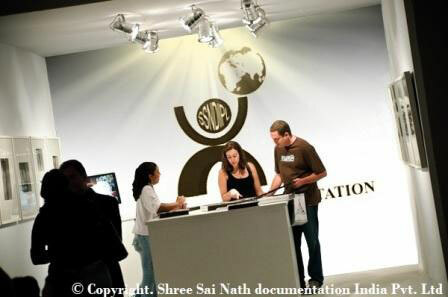 Ltd’s long-term objective to serve as the quality movement by ensuring that Shree Sai Nath Documentation India Pvt. Ltd activities provide increased value to society and our members.